This kit should include both generic items, like a seatbelt cutter, and more geographically relevant items, like extra blankets in colder climates and extra water in warmer ones. It should also contain basic first aid supplies, like a tourniquet band and wound dressings. Although it is wise to prepare for the worst, even the most comprehensive first aid kit is no match for devastating accident injuries. 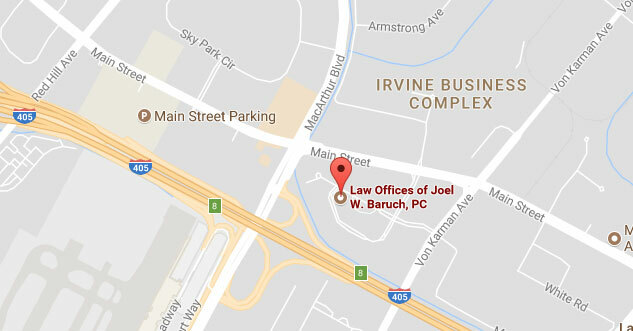 If you were hurt in a collision that was not your fault, turn to the Law Offices of Joel W. Baruch, P.C. We have a high win rate, and our legal team has litigated more than 200 trials. Call 949-864-9662 to schedule a case evaluation with a car wreck attorney in Irvine. According to Consumer Reports, you should look for a compact dry powder fire extinguisher that is labeled either “2A10BC” or “1A10BC.” These units can handle fires caused by combustible liquids and gases, as well as solids like paper and rubber. A working flashlight with extra batteries is a must for any emergency kit. Even if you end up breaking down in broad daylight, you may need the flashlight to see into various parts of the engine. The weather in California may be beautiful, but overheating is likely during a road trip up or down the coast. Keep an extra gallon of coolant in your vehicle, and replace it every few years. Although coolant does not technically expire, it can become less effective over time. A simple tool kit that contains a screwdriver, pliers, a pocketknife, and an adjustable wrench could prove to be invaluable someday. Add a tire pressure gauge, duct tape, and foam tire sealant, and you will be ready for anything. Even the most conscientious motorists can leave their lights on from time to time. Keep a set of jumper cables in your trunk just in case the battery dies and you don’t want to wait for roadside assistance. If you ever end up in a collision, LED flares or triangle reflectors will warn oncoming motorists to use caution when passing. This will help reduce the risk of causing a secondary accident. Unfortunately, even those who prioritize safety by packing a roadside emergency kit can end up in a catastrophic crash. All it takes is one drunk, distracted, or reckless driver to change your life forever. If you sustained injuries in a collision with a negligent motorist, contact the Law Offices of Joel W. Baruch, P.C. today. Call 949-864-9662 to schedule a consultation with a car wreck lawyer in Irvine. 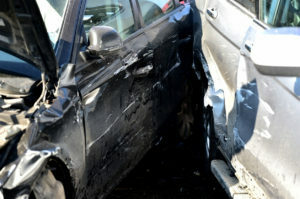 You can learn more about accident claims in California by visiting the USAttorneys website.